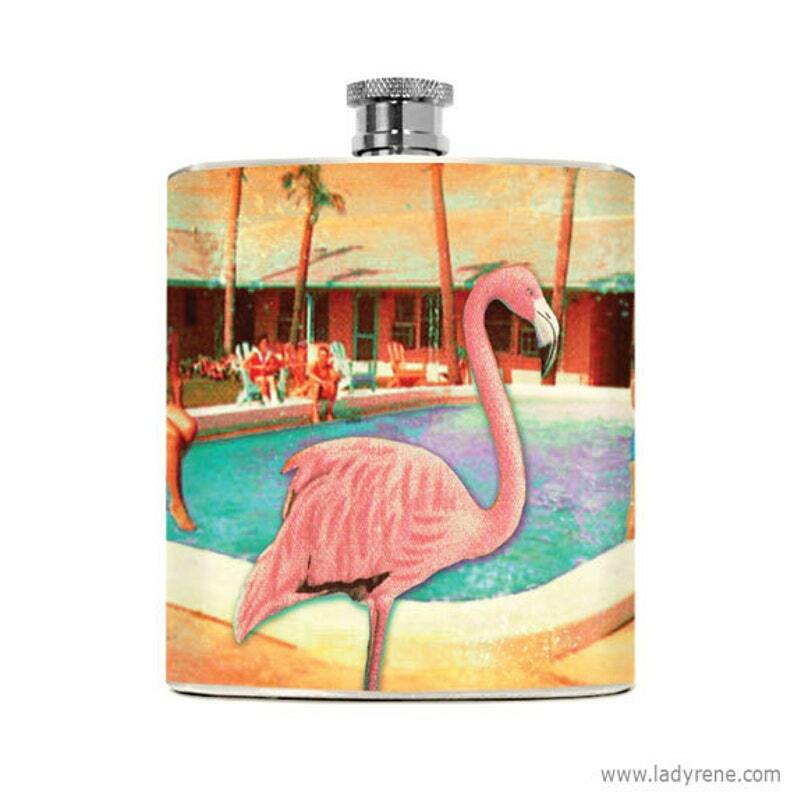 Our ladies and guys stainless steel 6oz hip flasks are designed, printed and hand applied in South Carolina. Flasks are wrapped in high quality, long lasting vinyl and guaranteed to please. Our uniquely designed flasks make a fun and thoughtful gift. Or, buy one for yourself and make this your next "go to" accessory for drinking fun at your next party. CHECK OUT OUR GEEKY FLASKS TOO!